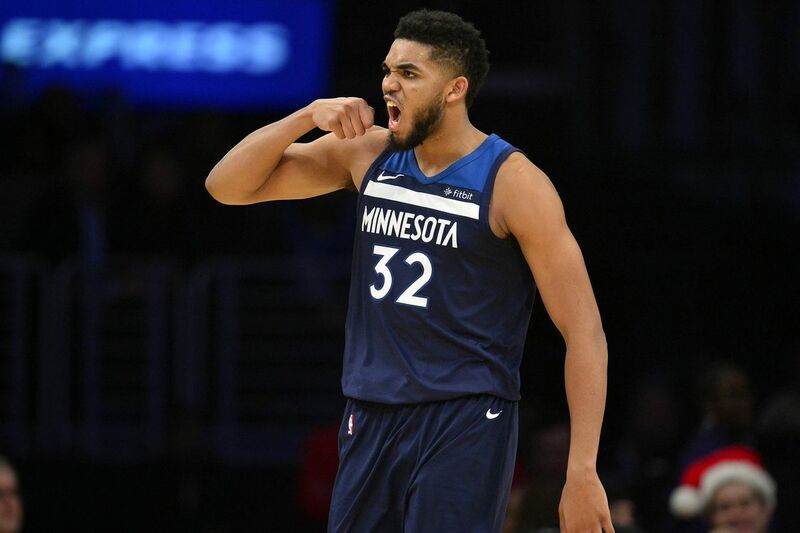 Karl-Anthony Towns- Rather than kicking things off with value, we will address what studs I am spending up for tonight and it starts with Karl-Anthony Towns on both sites. He owns a 33% usage rate and sees a massive assist bump without the combo of Jeff Teague/Derrick Rose on the court this season, and both are out again tonight. He’s completely mis-priced on DraftKings, but even at over $11K on FanDuel I’m willing to make him the first person in my roster. My bold prediction of the night is that KAT triple doubles with 25+ real points. Kevin Durant- Next to Towns, I love running it back with Kevin Durant who fell victim to foul trouble last night. Boogie Cousins is still out for the Warriors, and Durant sees around a 5% usage bump with him off the floor as well as more rebounding opportunities. The Timberwolves rank bottom-three in defensive efficiency against opposing SF’s this season and I love starting my cash game builds with Durant alongside KAT tonight. Bucks- With Malcom Brogdon and Giannis Antetokounmpo ruled out for tonight’s game, everyone that plays DFS will be focused on the Bucks roster and most likely locking in 3-4 of their players for cash games. To me, I see Eric Bledsoe, Nikola Mirotic and Ersan Ilyasova and the three CLEAR plays given the pricing on both sites, with Khris Middleton also a strong option in all formats. This is not information that will be hard to come by today, it’s just what we have to do given the amount of games and I will be following everyone else and playing 3-4 of them in cash games. Boban Marjanovic (DraftKings)- Boban is all the way up at almost $7K on FanDuel tonight, but at only $4,100 on DraftKings, he will be locked into my center position with Towns occupying the utility spot. He’s well over a PPM man, as we all know, and even if he only plays 20 minutes he should destroy this price tag and has a shot at a double-double against the Hornets frontcourt. Tyus Jones (FanDuel)- Jones was bumped up over $5,000 on DK, but FanDuel must have forgot as they left him at only $4,700 in a game where both Jeff Teague and Derrick Rose will not play. 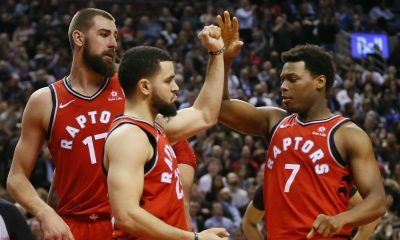 His minutes have suffered due to recent blowouts, but in a game against Golden State sporting only a 6 point spread, we should expect 30+ minutes of Jones at an elite price tag. Kemba Walker- The only reason I don’t have Kemba as a lock is because I will be pairing Eric Bledsoe and Tyus Jones on FanDuel. People seem concerned that the 76ers are first overall in defensive efficiency against point guards, but Kemba was been sporting a near 30% usage rate since the All-Star break and the one area the 76ers defense struggles is in the PNR, where Kemba is a top-two point guard. While it’s a tough matchup on paper, if you dig in deeper it actually becomes a strong one given his skillset and I don’t think it’s a fluke he has scored 37, 30 and 60 real points against them in three meetings this season. Buddy Hield- Buddy continues to do what he has done all season, shoot at an elite clip, post a 26%+ usage rate and never get the recognition he deserves. He’s too cheap at only $7,000 in this matchup against the Nets, and while taking shooters is normally a GPP-only strategy, this usage rate is high enough for me to trust him in all formats especially at this low of a price tag. D’Angelo Russell- Russell is another play viable in all formats alongside Hield, in a similarly good matchup against the Kings. Russell showed he still has upside dropping in 50+ fantasy points against the Clippers in his last game, and while he is priced correctly on FanDuel he is was too cheap on DK at just over $7K.